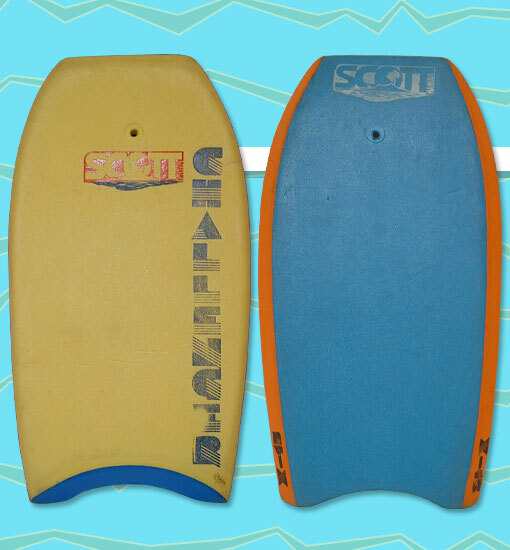 When it was introduced in the mid-1980s, the Challenger X-15 featured a high density polyethylene bottom. This was later upgraded to feature Scott's special "Speedskin" slick bottom. The Challenger X-15 also boasted a 2.5 lb polyethylene core -- a higher density than most other boards on the market at the time. Photo: Bozidar Dimovski.